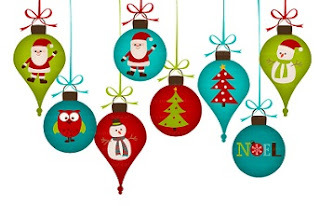 Merry Christmas and a Healthy and Happy New Year from West Royalty Elementary Home and School ! The grade 6 fundraising committee is still looking for donations of your best Christmas fudge to sell at the grade 2/3 Christmas concert. Fudge can be sent in with your child or dropped off at the school 2 days prior to the concert (November 27th and 28th). Please contact Cathy Nabuurs or Shawna MacDonald-Wong if you are able to donate or if you have any questions. Christmas is around the corner, and Poinsettias are still available for sale. 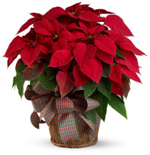 The cost for each Poinsettia is $16.00 tax incl. with $6.50 per plant retained as profit to support the Class of 2018 celebrations. This is the primary fundraiser for the GRADE SIX CLASS OF 2018 CELEBRATIONS. Please return the completed forms and cash to the school as soon as possible. 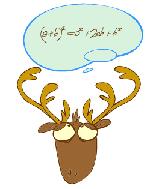 We are pleased with the results of the second Caribou test. In the grade 3/4 test we had 3 students rank in the top 10 of the province. I would like to include Gordon T. who ranked 6th in the province in the October 3/4 test but was inadvertently left form the announcement. In the grade 5/6 test Alex F. placed 7th in the province. Well done to all our participants and congratulations to our ranked students. A reminder that the second Home and School Meeting of the 2017/2018 will take place on Tuesday, November 21st at 6:00p.m. There is a parent engagement session scheduled to follow the meeting at 6:30pm. 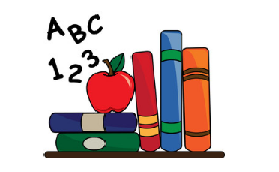 The topic of the presentation will be Welcome to Literacy Night - A Focus on Reading Strategies With Your Child! This is a presentation by West Royalty Elementary Resource teachers. We will be looking at sharing ideas on creating a homework reading routine that works best for your family. There will be something for everyone at this presentation. Parents are asked to register their children for Kindergarten prior to or during the week of November 20th to the 24th, 2017 during school hours. A registration form will be completed a the time of registration. Parents are reminded to bring two pieces of information which verify proof of child’s age. Welcome to Kindergarten sessions for incoming students and their parents will be held at schools in the spring of 2018. The grade 6 fundraising committee is looking for donations of your best Christmas fudge for the grade 2/3 Christmas concert. Fudge can be sent in with your child or dropped off at the school 2 days prior to the concert (November 27th and 28th). Volunteers are needed for the following time slots. Just a reminder that the second Home and School Meeting of the 2017/2018 will take place on Tuesday, November 21st at 6:00p.m. There is a parent engagement session scheduled to follow the meeting at 6:30pm. The topic of the presentation will be Welcome to Literacy Night-A Focus on Reading Strategies With Your Child! This is a presentation by West Royalty Elementary Resource teachers. All are welcome to attend! 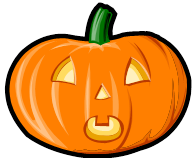 Parent teacher conferences will held November 16 (evening) and November 17 (all day). There is No School November 17. The grade 6 fundraising committee is looking for donations of your best Christmas fudge for the grade 2/3 concert. 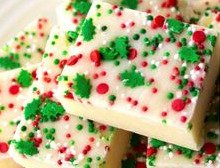 Fudge can be sent in with your child or dropped off at the school 2 days prior to the concert (November 27th and 28th). As you know, Poinsettias will be on sale on Thursday evening November 16th and Friday morning, November 17th during parent teacher interviews. We are in need of volunteers to sell poinsettias at the teacher conferences. This is the primary fundraiser for the GRADE SIX CLASS OF 2018 CELEBRATIONS. Any help that you can offer is greatly appreciated.